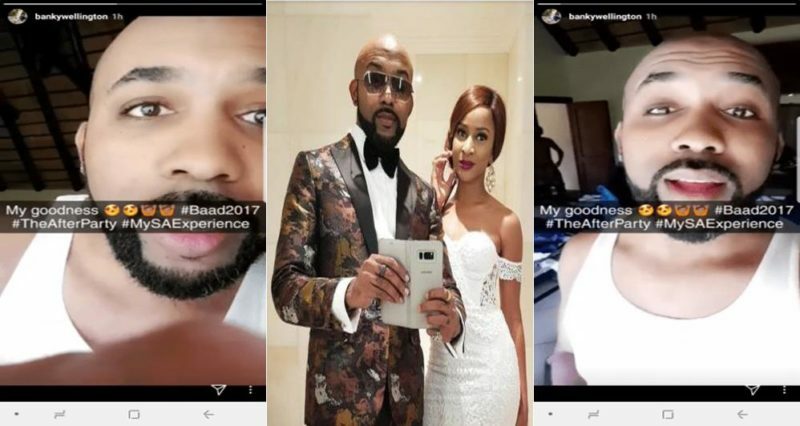 Banky W who just got married could not contain his excitement following the after party of his wedding. Banky W made a post on social media that unveil what seems to be an Unclad Adesua. Seems the picture was taken after a session of fun and Banky W was fast to share the pictures on social mdeia.